With so many marketing techniques and tools available for businesses, it can sometimes be difficult to decide whether you need to devote some or all of your marketing budget towards generating traffic from certain sources. In this era of online marketing, Video marketing is an important option to consider when trying to promote your business. It is important to understand the power of this service, especially when trying to get the most out of your marketing dollars. Online videos have the potential to spread like a wildfire. Since they are extremely easy to share between users, often when a viewer sees a video they enjoy or find useful, they like and share it with other people that they think will benefit from what the video is about. This is especially true with Social Media networks that allow you to upload the videos through them and onto your public profile. When customers are looking to solve a problem or are looking for information, they tend to go to the Internet to find what they are looking for. Videos are now frequently found in search engine results, and can often lead to high click-through rates. This also means that videos appear in search engine results with website based text, which can be customized to relay your company message. Many consumers find that viewing a short video is the easiest way to get the information you’re looking for over readable content pages. Videos tend to be more dynamic than text, which helps engage your visitors. If you have a video on the homepage of your website, a video can increase the “stickiness” of your website, which is the average amount of time visitors spend on your site. In essence, videos tend to capture and hold the attention of visitors for longer periods of time than text. 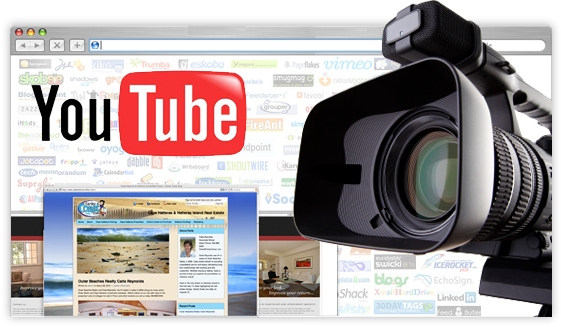 Videos can help brand you, your business and your product. Especially for service based businesses, videos allow companies to build a good relationship with their visitors without ever seeing them. As service providers tend to rely on the relationships they build with their clients, videos can help build and strengthen the connection and sales. Video marketing works best when combined with other online advertising campaigns like organic seo and/or online media buying. Internet users tend to overlook online ads because they see many on a daily basis, at nearly every website they visit. This makes online ads less attractive, no matter how attractive they may seem. That’s why online videos are more effective because they add a more personal touch in attracting advertisers and potential customers. It is a fact that Internet users have different occupations and range in different ages and from different backgrounds. If video marketing is done correctly, it can be targeted to a specific group of users that has the potential to be interested in your business. If you are looking to target a specific area to offer your services, a targeted video and some local seo marketing services can go a long way. Therefore, it is a tool that happens to be more effective than other conventional media marketing methods. 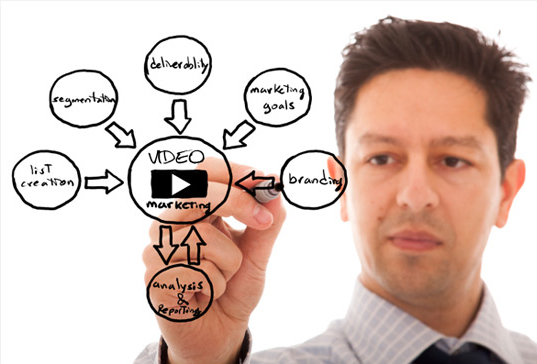 This is perhaps the most important of all the benefits of video marketing for any business. You can do this work, even in the comfort of your own home with no advanced technical skills. You do not have to learn any language or computer code to do video marketing. The hard work is in creating the video, then you just upload your video and publish it on the website you’d like to. You may need some help optimizing the video for search, building some quality links pointing to it and of course creating the video, but anyone is capable of uploading a video on YouTube or similar video sharing sites. Videos have proven to be an effective marketing tool and are setting the standard for the rapidly growing online marketing industry. This trend is slowly replacing conventional marketing strategies that currently define the way we market in the digital age. If used properly, it results in gaining more customers, increased sales, and online visibility that contributes to success in business. If you would like to learn more about SEO or video marketing, then fill out our contact form and one of our experts will call you to discuss strategy.